Spring is not far away..
Perhaps its time to think about booking that Spring holiday break – what better place than in Mundesley in North Norfolk? 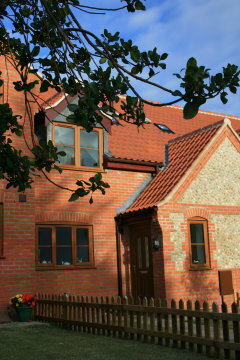 Fully booked for Summer 2012 – book now for 2013! Sorry we’re booked already for the Summer – but you can make a booking for next year! After a fantastic Summer booking for Summer 2011, we are pleased to be able to take bookings for self-catering holidays for Summer 2012. Why not come and sample the beautiful North Norfolk coast next year? Sorry, we’re now fully booked for August 2011.